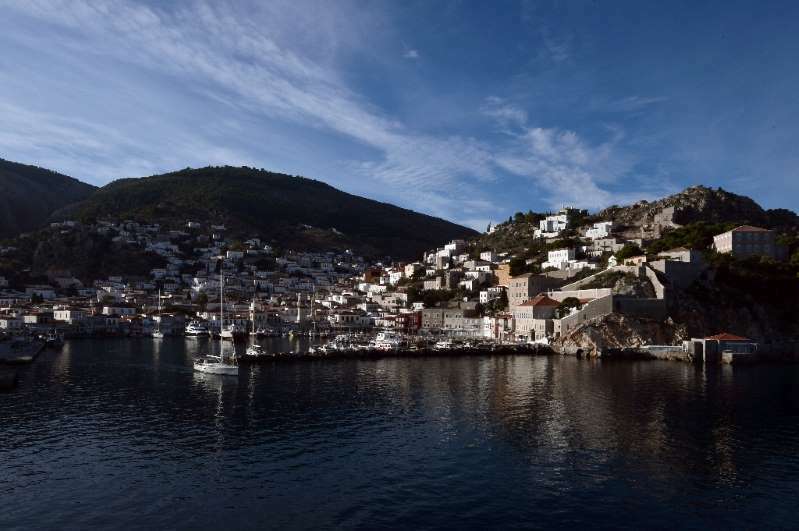 The Greek holiday island of Hydra was without electricity on Sunday, leading to water shortages as the authorities and energy company Dedie scrambled to resume the power supply. Dedie offered its apologies for the electricity outage which began in the small hours of Sunday morning and continued into the evening despite the efforts to re-establish the supply. The energy company inspected the island's power network "in difficult conditions" -- cars are banned on the island -- as well as underwater cables which bring the supply onto the island, Dedie said in a statement cited by the Greek ANA press agency. The lack of electricity affected in turn the water supply and a Greek navy vessel was preparing to transfer water to the island, an official told AFP. A popular island with weekenders from nearby Athens, a ferry ride away, as well as tourists from further afield. On Wednesday a power cut hit several parts of the capital Athens for over three hours, disrupting local train and tram traffic.